On February 2, University President Dr. Christopher Blake issued a “white paper” entitled “20/20 Vision: Toward a Clear-Sighted View of Greatness” to assist in identifying the needs and priorities for a new strategic plan. The white paper – a term that describes a formal report that provides proposals on specific issues – outlines several areas on which MGA’s leadership will focus as they establish a plan to carry the institution into the next decade: intentionality of aligning the mission of the University with the region’s needs, developing a strong academic identity, reinforcing MGA’s focus on its students, building momentum as the institution and region grow, maintaining responsiveness and agility in the face of a rapidly-changing landscape, continuing to improve efficiency in operations, and effective use of data and technology. 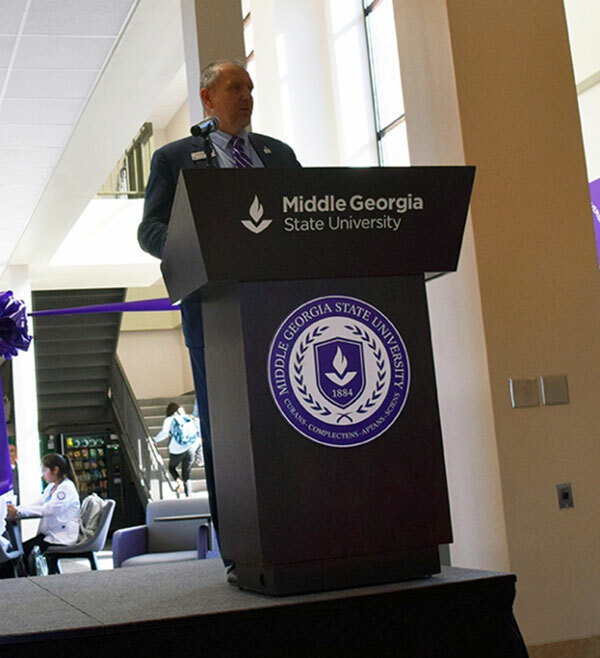 MGA’s provost, Dr. Jonathan Anderson, has been tasked with chairing a committee to create a new strategic plan based on the ideas presented in Blake’s white paper. The committee begins its work this spring, and the new strategic plan is scheduled to be announced in August, at the University’s Fall Convocation. The white paper is available for download at this link. Comments about the paper may be sent to comments@mga.edu.